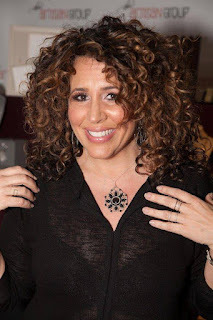 Jamie Estelle Jewelry: Jamie Estelle Jewelry Goes To The GBK 2016 Golden Globes - Via The Artisan Group! Jamie Estelle Jewelry Goes To The GBK 2016 Golden Globes - Via The Artisan Group! We Are Done! Yay! Update: Scroll down! After 4 whole long months of pretty much sitting in the same position, I can say, I am finally done! 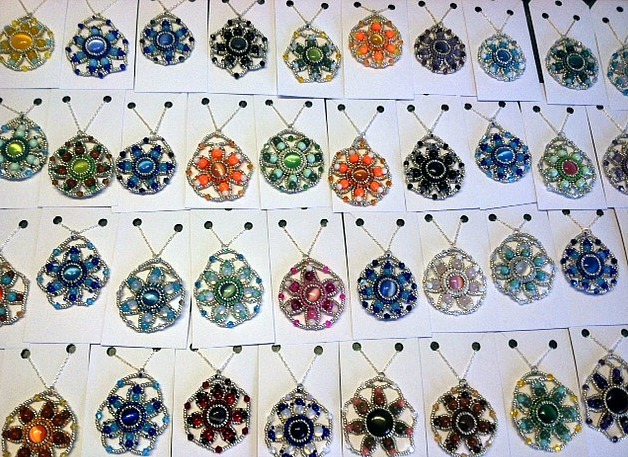 All of the pendants are beaded, packaged, in little bags and on there way to California for The Golden Globes - via The Artisan Group. 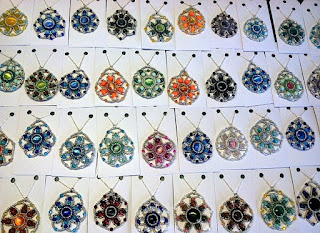 100 beaded flower pendants. 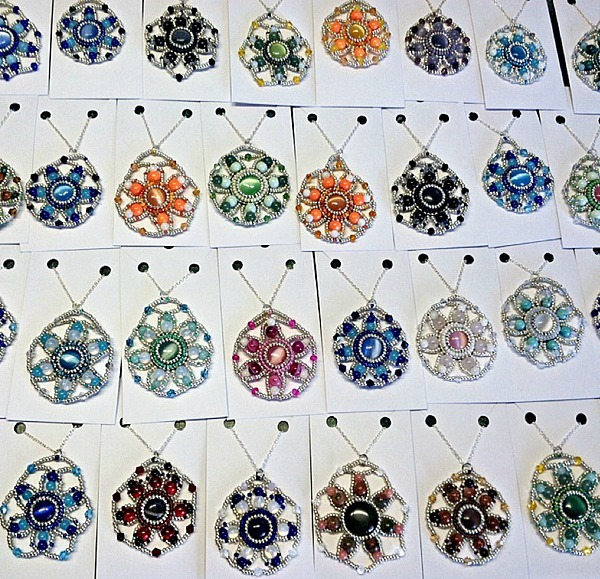 Each pendant is beaded in glass seed beads, with a beautiful laser cut cats eye stone. Surrounded in natural stones and Swarovski Crystals. On a .925 sterling silver Rollo chain. We are so excited to take place in this show. We would like to thank The Artisan Group for all that they do, you are truly amazing! Down below is our press release. Enjoy! Don't forget to like and share! It helps promote us! xoxo! 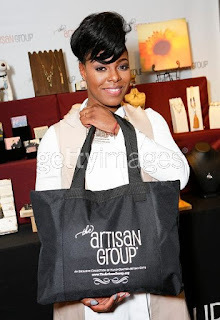 We are pleased to announce Jamie Estelle Jewelry, in association with The Artisan Group will participate in an invitation-only luxury celebrity gift lounge hosted by GBK Productions on January 8-9, 2016 at an exclusive location in Hollywood, California in honor of the Golden Globe nominees and presenters. 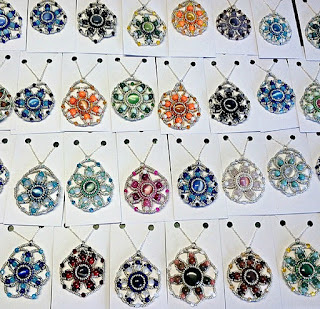 Our hand beaded Cats Eye , Swarovski Crystal Flower Pendant Necklace will be prominently featured on display at The Artisan Group's exhibit, and all attending celebrities, select press, media, and other VIPs will receive our Cats Eye, Swarovski Crystal Flower Pendant Necklace in their swag bags. This event will also be attended by nearly fifty press and media outlets. 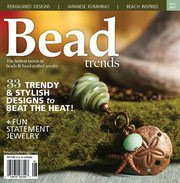 Jamie Estelle Jewelry is a small business that strives for perfection on designs that fit all personalities. Offering unique assortments of high quality, handcrafted jewelry in a variety of styles and colors. Jamie Estelle's designs range from dramatic and bold to edgy and sleek. Dress it up, or dress it down! 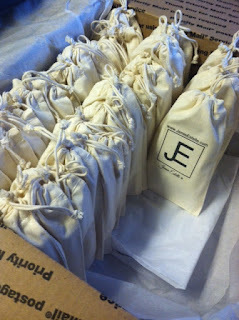 Jamie Estelle Jewelry is full of sparkle, you will fall in love with each piece you own - " and we love that! " 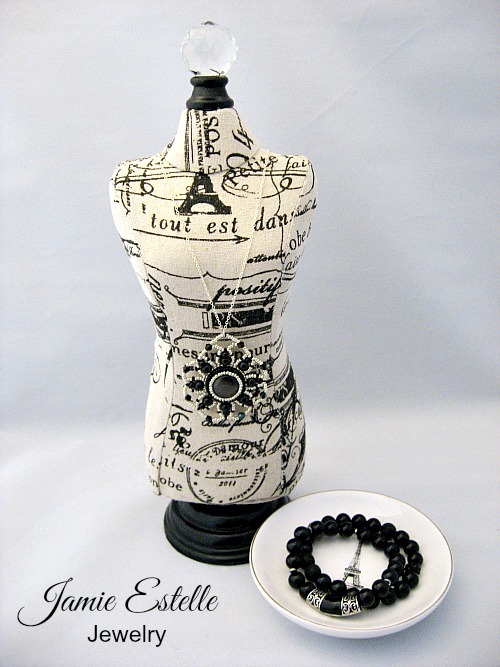 We offer custom designs, contact us today to start designing your one of a kind wearable piece of art! 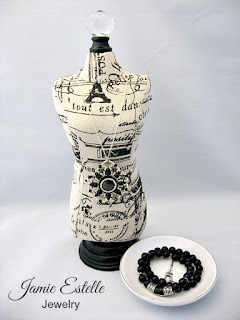 Embroider Your Style with Jamie Estelle Jewelry! 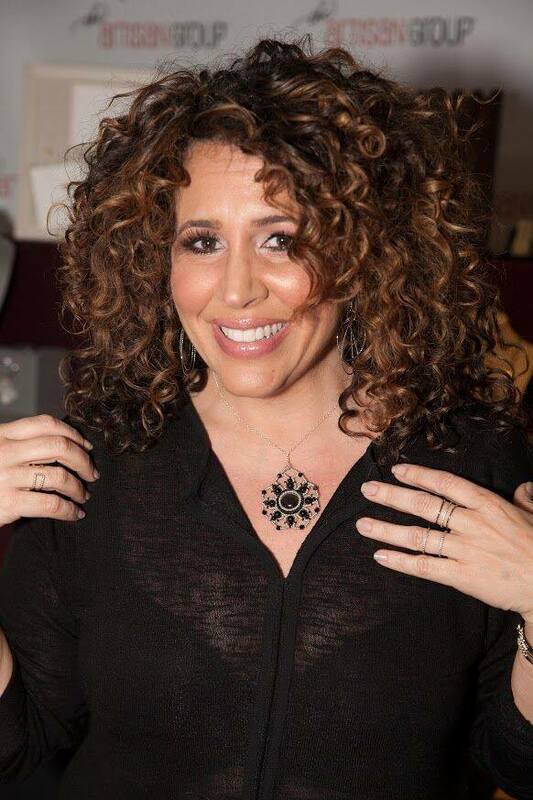 Jamie Estelle, Jamie Estelle Jewelry's sole proprietor, is a resident of Ocean Township, New Jersey. 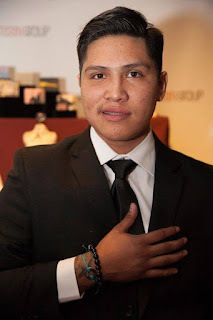 * Neither Jamie Estelle Jewelry, nor The Artisan Group are officially affiliated with the Hollywood Foreign Press Association (HFPA). 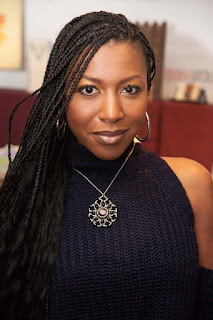 Gabrielle Dennis Fox's "Rosewood" (Pippy Rosewood in Jamie Estelle Swarovski Crystal Flower Necklace. Diana Maria Riva NBC's "Telenovela" (Mimi Moncada) in Jamie Estelle Swarovski Crystal Flower necklace. Series Nominated for Best Motion Picture - Comedy or Musical. 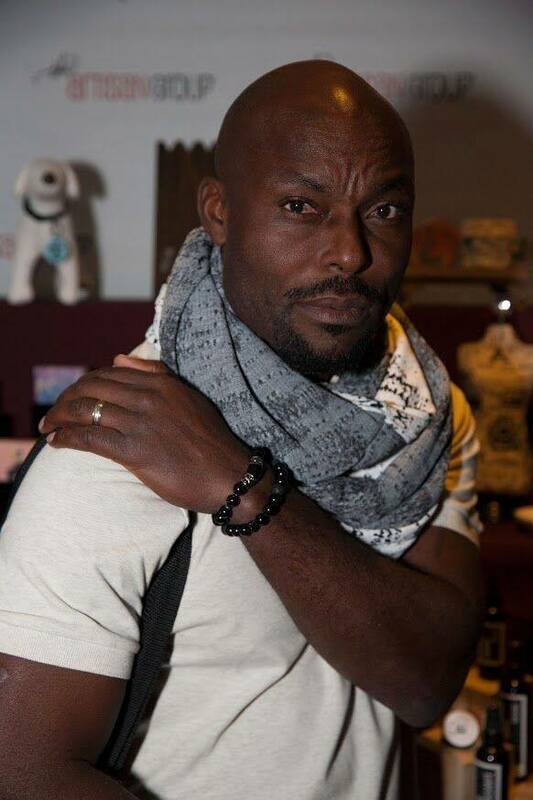 Wearing Jamie Estelle Oynx, Hemmitite, and Lava Rock Mens Bracelet. Ta’Rhonda Jones Fox's "Empire" (Porsha) Series Nominated Best Television Series - Drama. Holding The Artisan Gift Bag with all of our goodies inside!